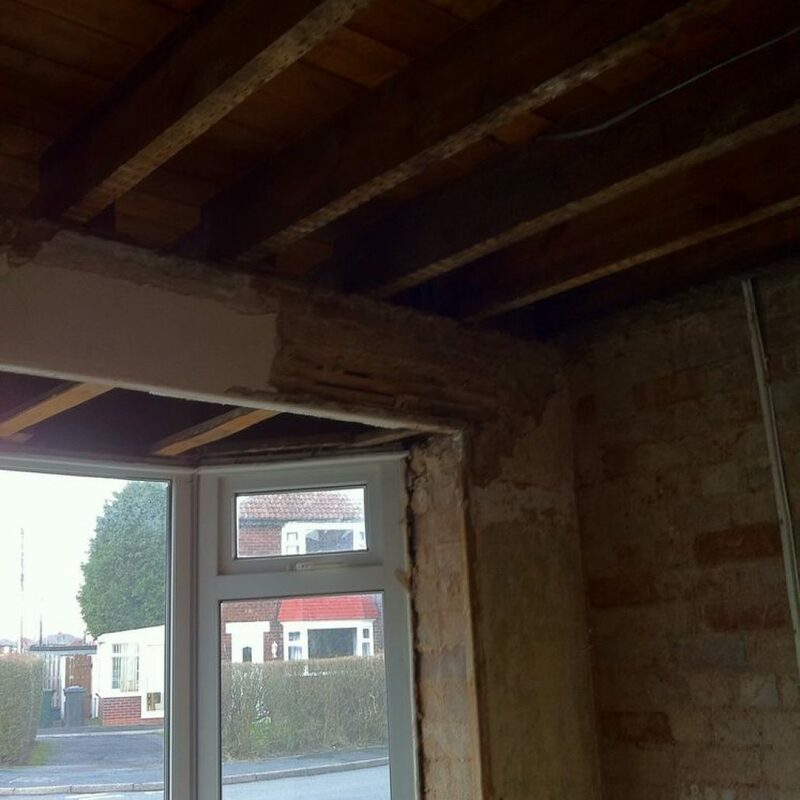 Saturn Plasterers have been skimming walls and ceilings for the last 30 years in Leeds, Doncaster and across Yorkshire. 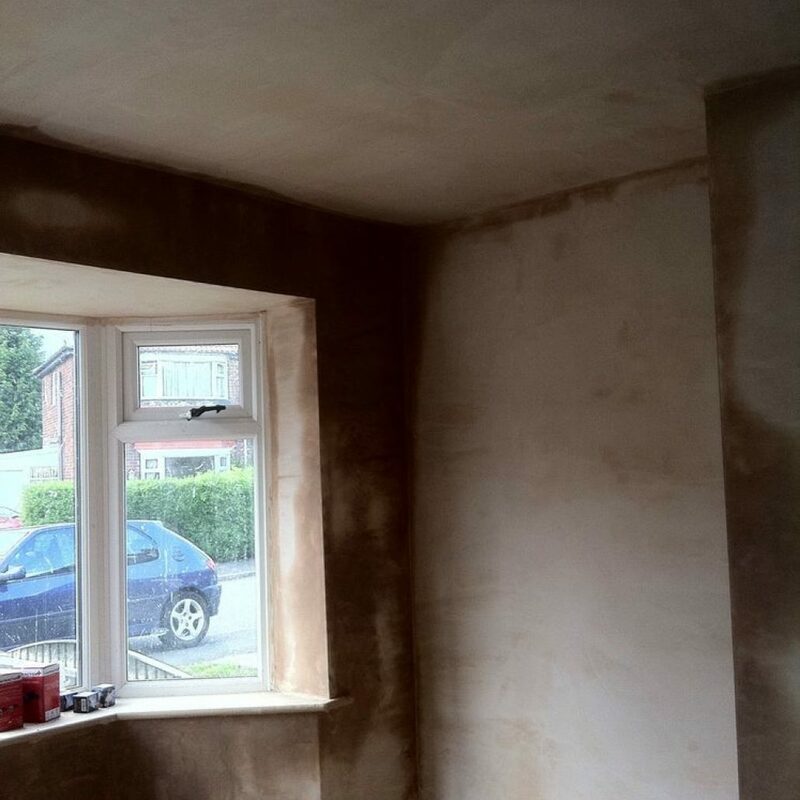 The skimming of walls and ceilings is the process of applying the finishing coat to plaster walls to give a smooth finish that is ideal for painting and papering. 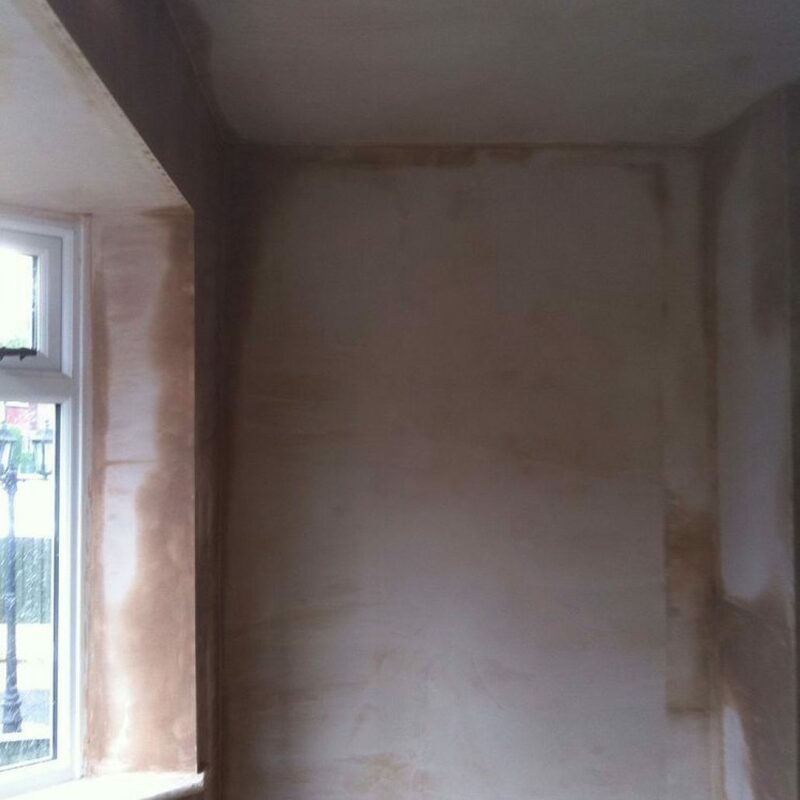 The re-skimming of walls is an ideal way to get rid of any holes and blemishes before decorating. 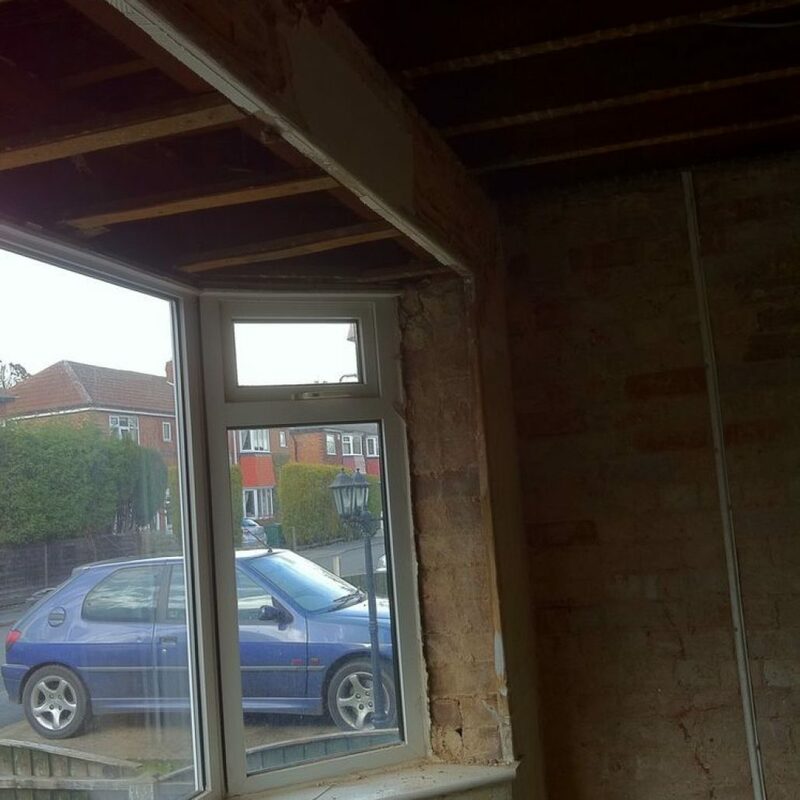 We are happy to undertake any sized jobs whether that may be a skimming of a small room or single wall up to full skimming of a complete house. 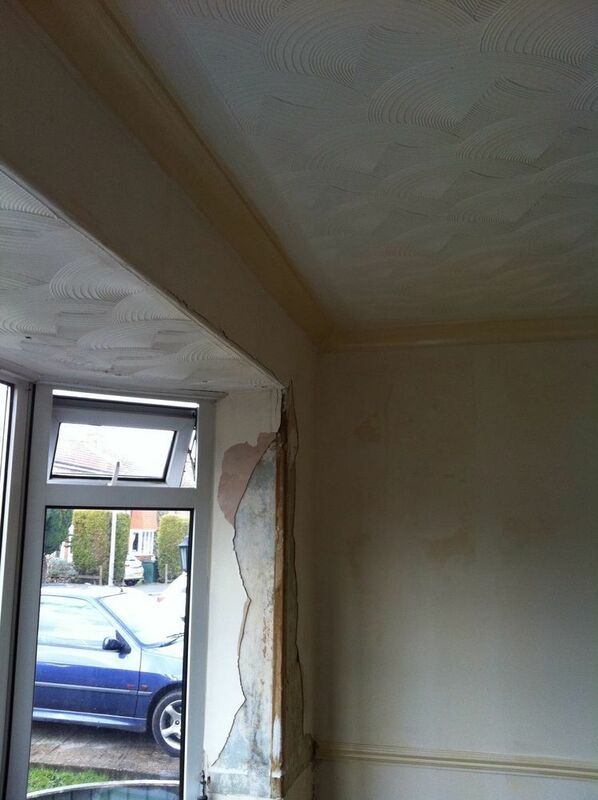 See the example below which shows a previous skimming job. 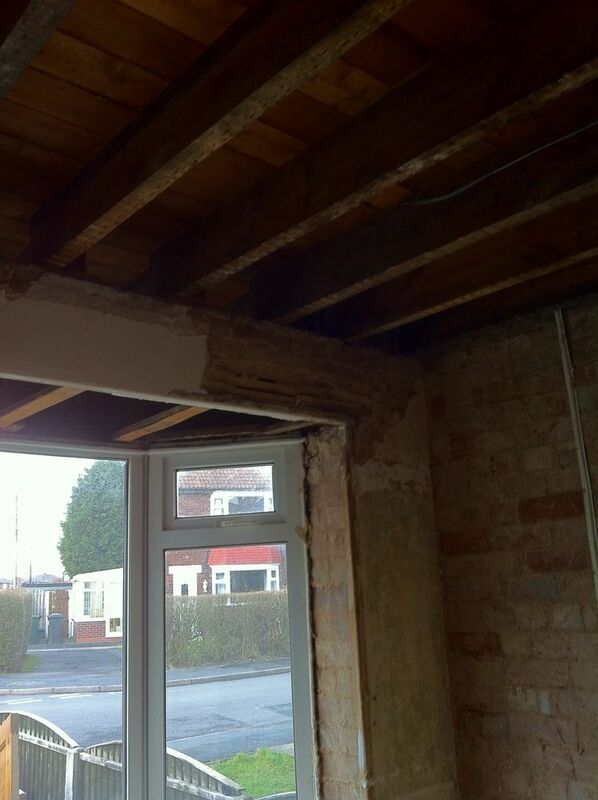 We are based in Wakefield and can travel across Leeds, West Yorkshire and beyond. 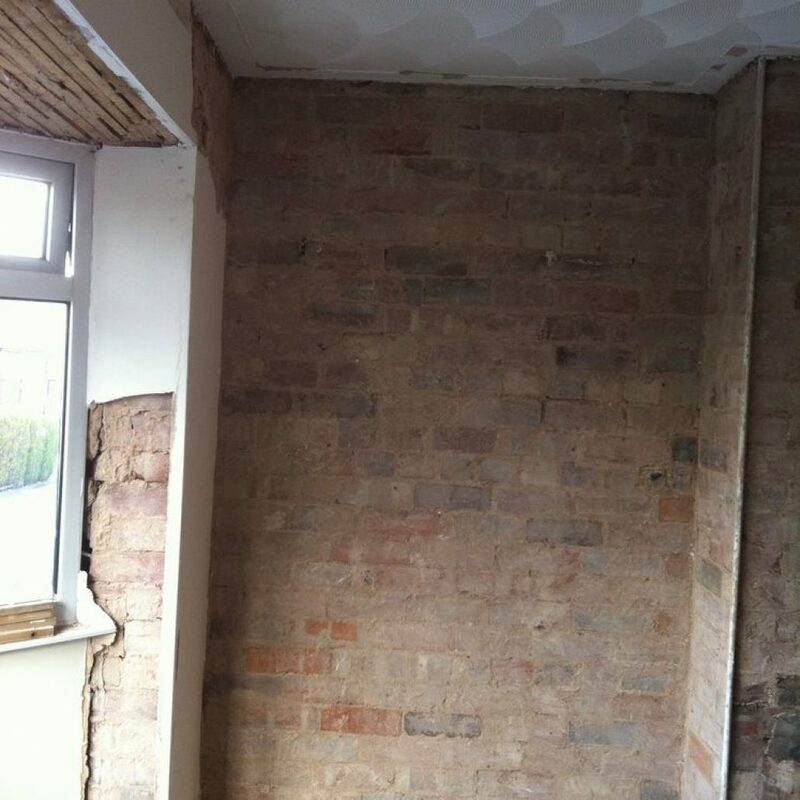 Walls and ceiling stripped back to brick following water damage. 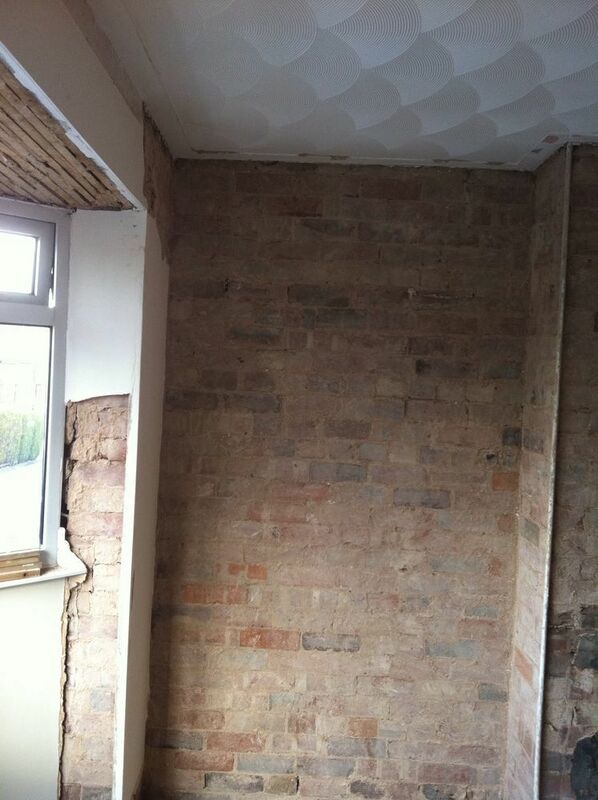 Another view of water damaged room after stripping back to brick. 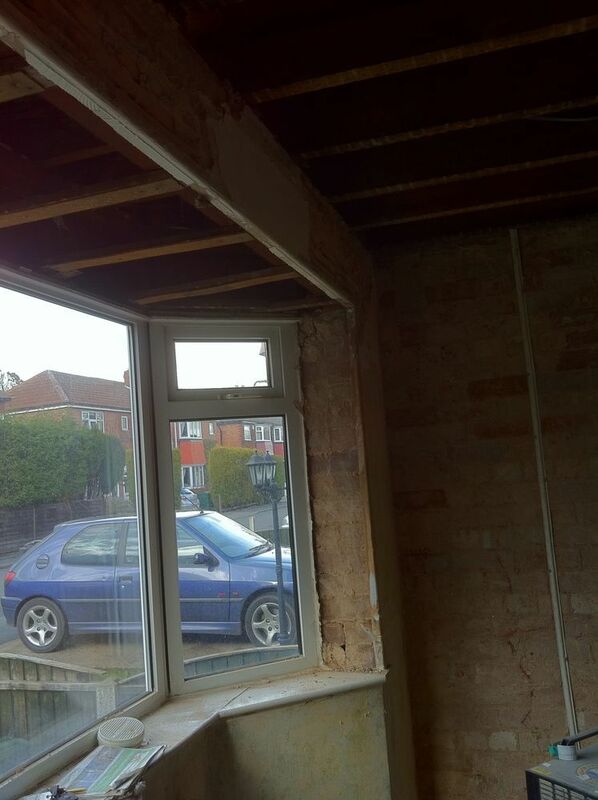 Blown plaster had to be taken back to brick. 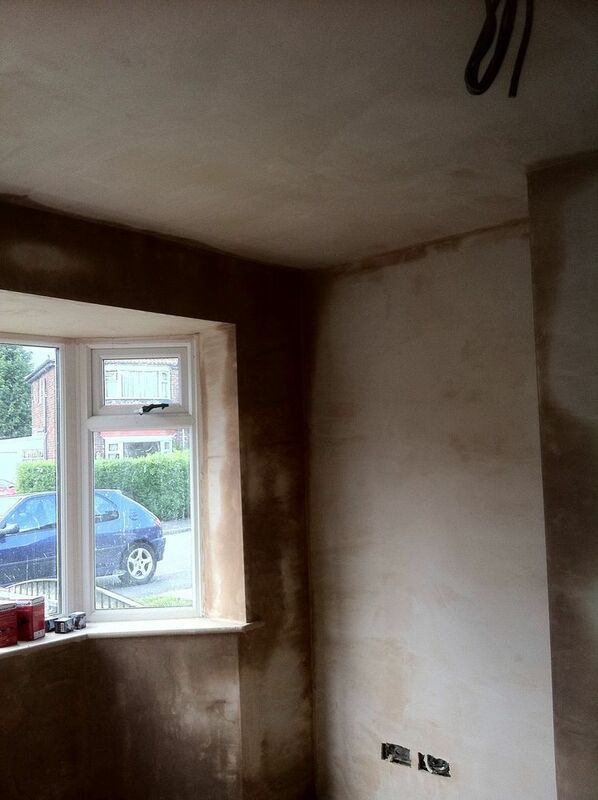 Walls bonded followed by a skim. 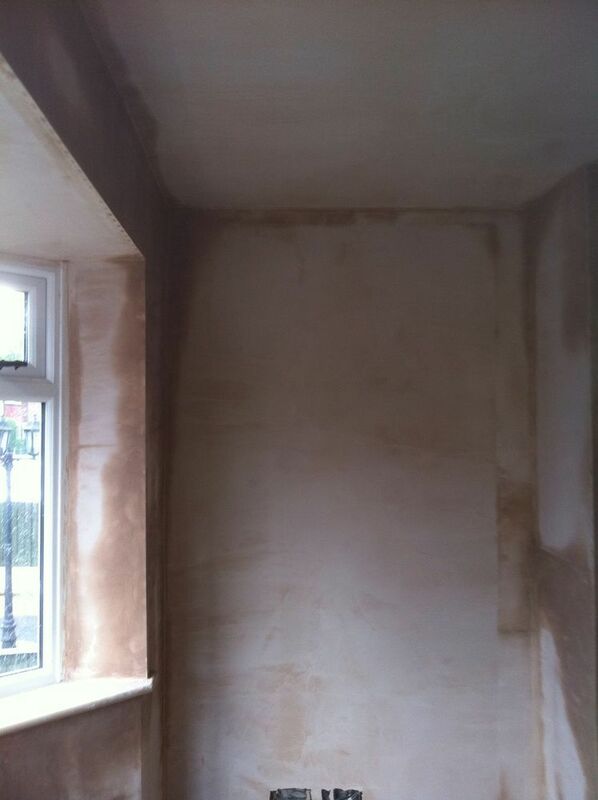 Newly plastered walls following bonding and skimming. 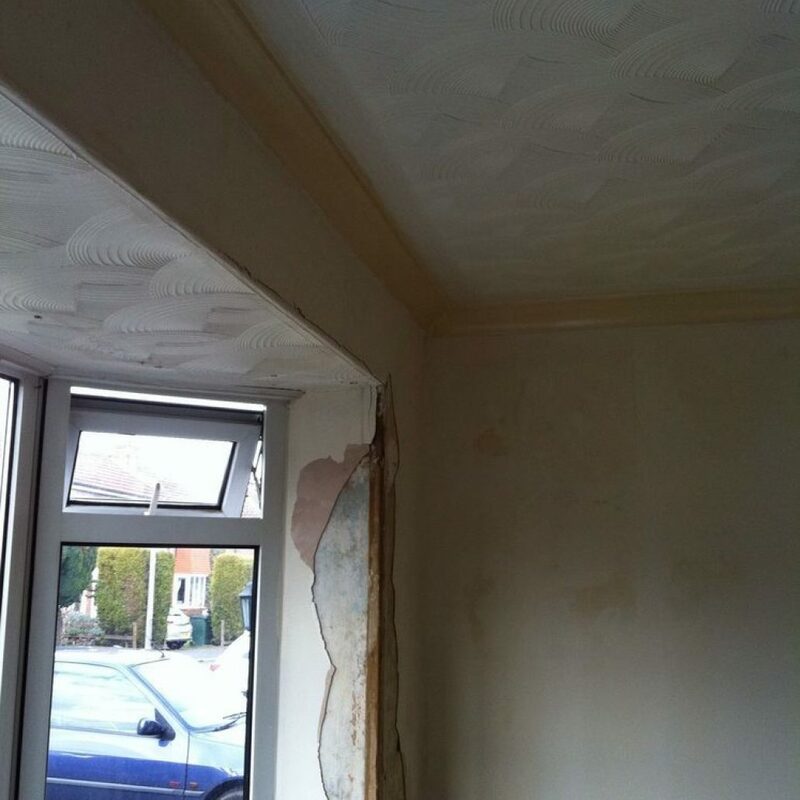 Newly plastered room after dotting and dabbing walls and erecting new ceiling.